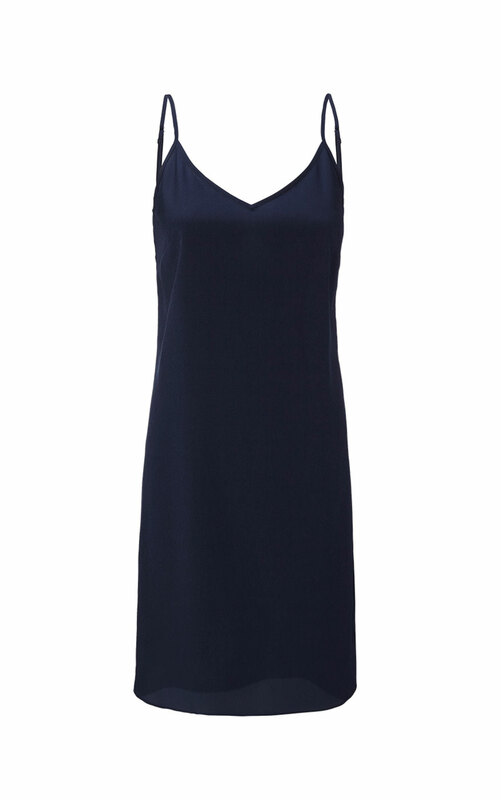 The sheer, allover pink floral pattern on top of an elegant, navy blue slip adds romance to an already elegant style. 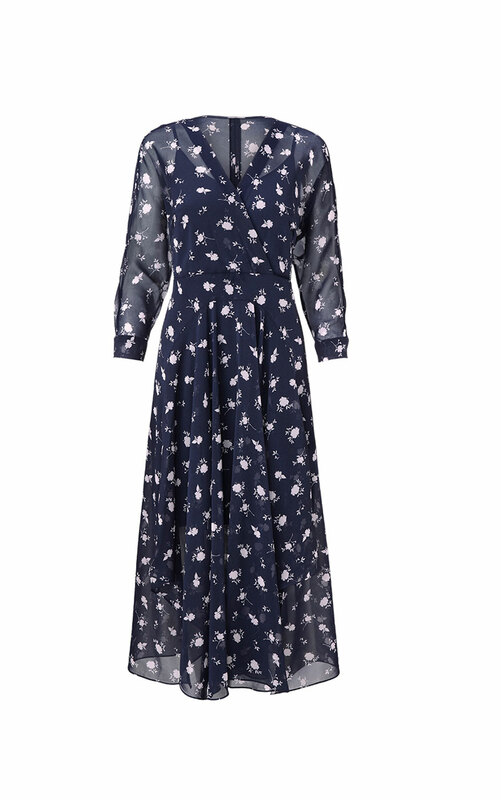 The Dream Dress features a flattering empire waistline, a crossover front, flirty uneven hemline, and three-quarter dolman sleeves. Bonus, it has a fully removable slip on the inside. 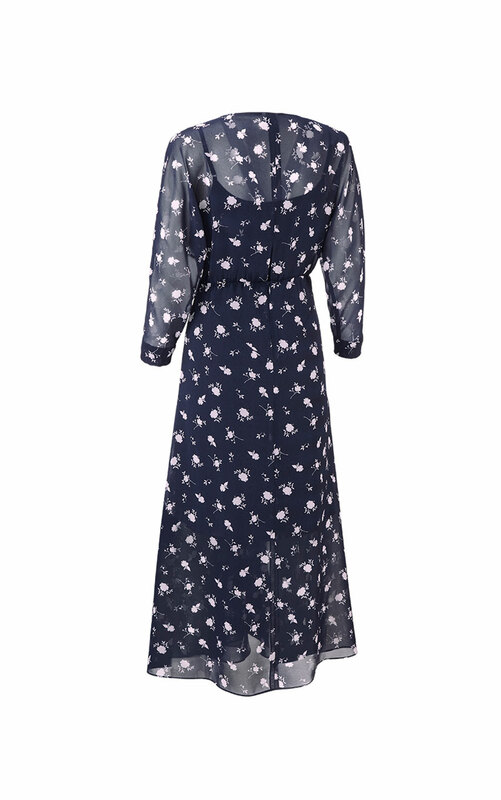 Loving the Dream Dress? Share how you’re wearing it on Instagram, and browse through all the inspired ensembles for fresh ideas.